Kering announced at the company’s Annual General Meeting today that it has published a comprehensive Progress Report detailing its efforts towards achieving its Sustainability Targets, two years after the Group’s commitment to attain a series of self-imposed environmental and social targets across its Luxury and Sport & Lifestyle activities by 2016. The ambitious Group-wide 2016 Targets are focused around key areas of environmental and social impact across the Group’s supply chains and its business, and encompasses raw material sourcing, packaging, water, waste and carbon emissions, hazardous chemicals and PVC, and supplier standards. 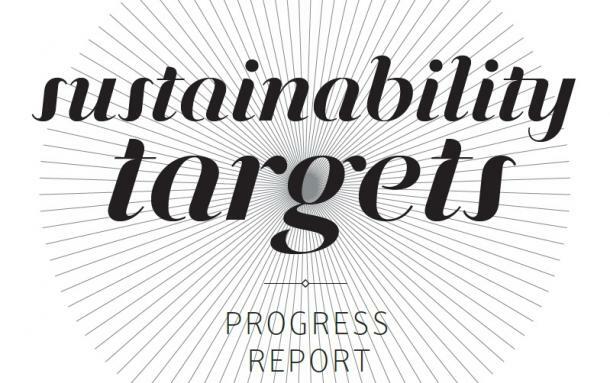 The Progress Report is an important milestone for the Group to chart transparently the efforts that have been made, as well as outline the challenges that still need to be overcome. The report is available here. ∞ Initial purchase order of 30 kg of Fairmined certified gold from the Sotrami mine in Southern Peru, representing the single largest purchase of Fairmined certified gold made to date. In addition, a commitment to purchase twice this amount, at minimum, during 2014 and to scale up the purchase commitment from certified mines over the next two years in collaboration with the international NGO, Solidaridad, and the Alliance for Responsible Mining. ∞ Launch of the ‘Python Conservation Partnership’ with the International Trade Centre (ITC) and the Boa and Python Specialist Group of the International Union for Conservation of Nature (IUCN) to contribute to improving the sustainability of the python trade. ∞ 98% of the PVC-free target achieved; less than 2% of the total Group “SKU’s” (stock keeping units). ∞ Creation of ‘SAM plastic’ (Smart Assessment of Materials) tool that evaluates the techno-environmental performance of alternative plastics based on a Life Cycle Assessment analysis and for all types of plastic. ∞ 77% of the Group’s total paper consumption either certified by third parties guaranteeing sustainable forest management and sustainable sourcing, or recycled. ∞ 73% of the Group’s business already covered by the rollout of the Group-wide Environmental Profit & Loss account (E P&L) – an award winning innovative methodology developed by the Group to measure and monetise corporate environmental footprints across the supply chain. ∞ Creation of the Kering Materials Innovation Lab, with a comprehensive library of sustainable materials and a team of technical experts to highlight innovation in raw materials, fabric processes and manufacturing, in order to make opportunities and new “greener” solutions available to the brands. ∞ Development of “Heavy metal-free” tanning processing solutions as a first in the Luxury sector. ∞ Innovative leather traceability systems setting new standards in traceability and certification for bovine and sheep leather sourcing. ∞ 15% reduction of waste in ratio per surface in the Group’s own operations (offices, stores and warehouses) and a reduction of 10% as associated with the total revenue of the Group. ∞ Launch of ‘Clean By Design’ programme for best practices in textile mills (as developed by the Natural Resources Defense Council) and first time the programme has been implemented in the Luxury sector. ∞ Over 75% of the Group’s business covered thus far in relation to the supplier auditing target. Supplier monitoring goes beyond the audits themselves and is rounded out by the Kering Social Handbook, training programmes and the sharing of best practices. ∞ Offsetting of 123,338 tonnes of the Group’s carbon emission in scope 1 and 2 of the Greenhouse Gas Protocal in 2013 through an expanded portfolio of REDD+ projects, including the Wildlife Works project in Kenya, the Surui indigenous peoples project in the Brazilian Amazon, and the Wildlife Conservation Society and Government of Madagascar project in the Makira Forest in Madagascar. These offsetting projects protect some of the most important forests in the world and support local people and indigenous tribes. ∞ Meeting some of the Group’s Sustainability Targets requires more than incremental improvements: change beyond the company itself is needed, and especially fundamental changes to systems in the supply chains. ∞ Innovation and efficiency programmes with suppliers across the global complex supply chains need to be developed and supported by multi-stakeholders. ∞ Systems need to be in place to verify and certify sustainable sources of raw materials, to then support scaled production of these materials in order for sustainable options to become more accessible and available. ∞ Change is necessary across the industry to build full transparency in reporting and in order to truly mitigate a company’s environmental footprint from cradle-to-gate. ∞ Work is imperative, across the fashion and retail industry, with stakeholders and consumers to create understanding and awareness of sustainability, to then drive sustainable product choices and consumer mindfulness. A world leader in apparel and accessories, Kering develops an ensemble of powerful Luxury and Sport & Lifestyle brands: Gucci, Bottega Veneta, Saint Laurent, Alexander McQueen, Balenciaga, Brioni, Christopher Kane, McQ, Stella McCartney, Tomas Maier, Sergio Rossi, Boucheron, Dodo, Girard-Perregaux, JeanRichard, Pomellato, Qeelin, Puma, Volcom, Cobra, Electric and Tretorn. By ‘empowering imagination’ in the fullest sense, Kering encourages its brands to reach their potential, in the most sustainable manner.Present in more than 120 countries, the Group generated revenues of €9.7 billion in 2013 and had 35,000 employees at year end. The Kering (previously PPR) share is listed on Euronext Paris (FR 0000121485, KER.PA, KER.FP).